Start the Porsche microsite: http://2m.porsche.com/ Search Yourself, Find yourself. Porsche now has 2,000,000+ fans on Facebook and to celebrate reaching this milestone, Porsche would like to say “Thank You” to their followers. Profile pictures from all their Facebook fans decorate a special Porsche Cayman S in the Iconic 917 K livery to be shown in the Porsche Museum in Stuttgart – to be part of this special display from January to Feburary 2012. Porsche used submitted pictures from their followers to re-create a historic race car livery. 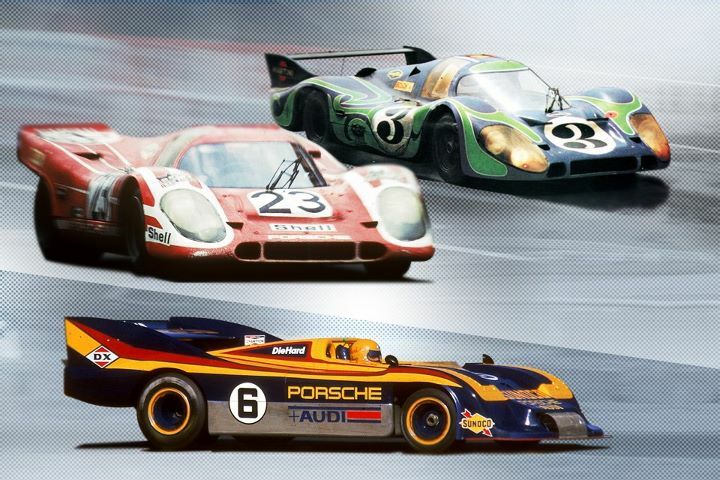 Porsche asked their fans to choose which livery to display on the car, choices were…Porsche 917 LH “Hippie” livery, Porsche 917 K red-white Salzburg livery and Porsche 917/30 “Sunoco” livery. The winning design that was chosen and a inspiration was the car that delivered Porsche first overall victory in Le Mans, the iconc 917 K livery. 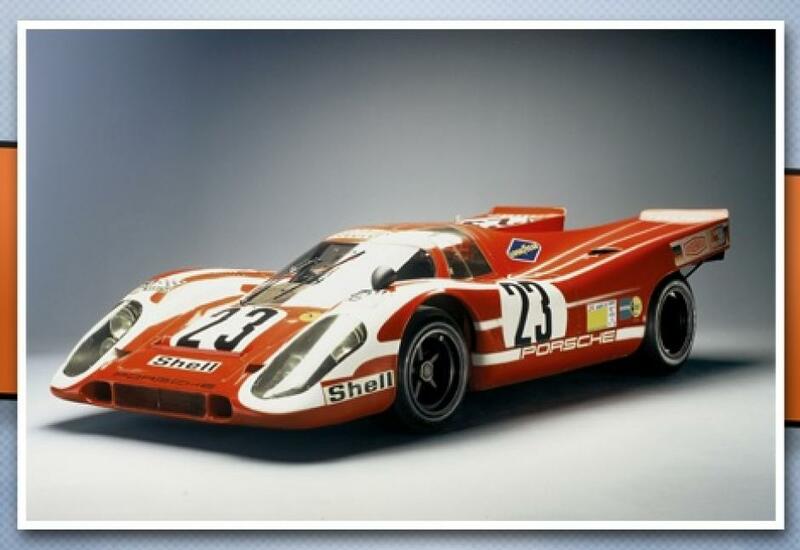 The 917 K features the red-white Porsche Salzburg livery and won with Richard Attwood and Hans Herrmann at the wheel. 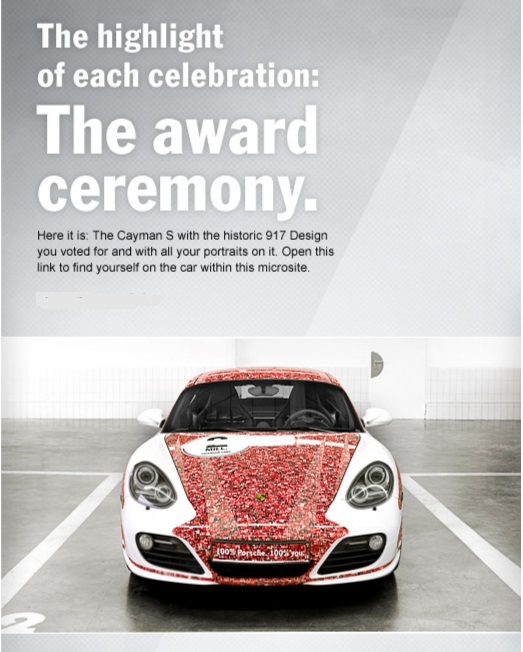 Porsche prepared the Cayman S ( below) and is now displayed at the Porsche Museum in Stuttgart and will be on display January- Feburary 2012 with their Facebook fans’ pictures and the replication of the iconic design.